Workers Compensation laws are designed to compensate an employee or their family members in work related injuries. But too often the benefits due are not paid. Frequently victims are forced to suffer administrative delays and lengthy appeals before obtaining any Workers Compensation benefits. 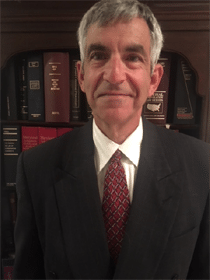 Baltimore Attorney Marc Atas is a highly-skilled attorney based in Baltimore, Maryland who represents individuals throughout Maryland who have been involved in a Workers Compensation claim.